Cotton front bibs with embroidered team logo with polyester backing to prevent spills on clothes. 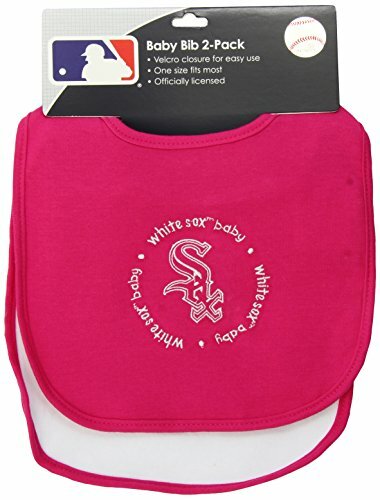 Each pack contains one pink and one white with pink trim bib. A velcro closure keeps bib secure. One size fits most.ae the large style allows for use by most little fans.